« Meggy pixel video display. 4-in-4, day one. 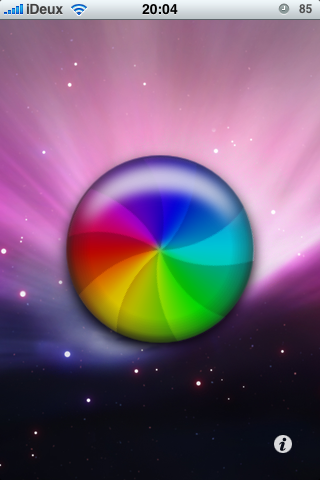 the iphone is missing one of my most beloved relics of os x…the pinwheel, aka beachball of doom/death. i wanted to experiment with using the core graphics framework to draw to the screen and create animation and this was an interesting experience. the animation is too slow currently…i feel that i’m doing things in a really inefficient way at the moment. i had also tried using UIImageViews and animating them, but i couldn’t figure out a way to get the spinning layer to composite using the overlay blend mode…which you can easily do with core graphics contexts. i’ll try again later, but i really need to get away from the computer and onto my bike to train (which is a matter of about five feet now that it’s dark and icy out). i’ll post a video if i can get the animation on the phone to happen more quickly. This entry was posted on Tuesday, January 13th, 2009 at 20:14	and is filed under iphone, Uncategorized. You can follow any responses to this entry through the RSS 2.0 feed. You can leave a response, or trackback from your own site.